Multinational Brands Marketers have been struggling to decide what’s the best strategy for their Facebook Page. Should I create multiple pages, one for each country or should I create only one international page ? The first choice may be a bit easier to manage locally but the second one will generally increase the brand’s impact. It seems Facebook has been listening to this complains as new features are being tested to propose the best of both worlds, according to Allfacebook.de. 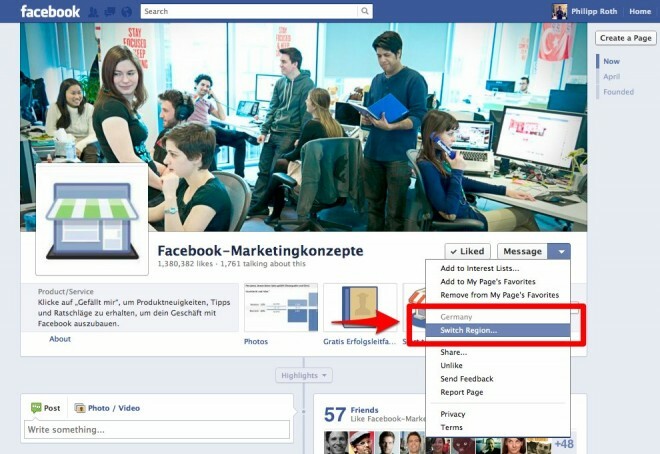 The following Facebook Page at https://www.facebook.com/FacebookMarketing shows up how it might work. As you will see, users are automatically redirected to the regional page in accordance with their personal settings. 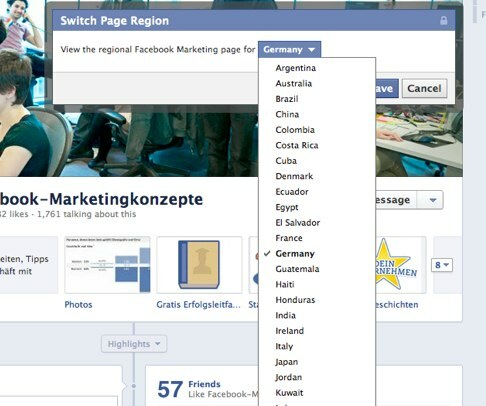 Users still have the choice to select another country via a drop-down menu. The feature is a bit more than automatic redirection though. The number of fans is aggregated for all the local pages of the brand and is thus the same for all pages. Number of People Talking About This remains different for each page so we can infer that insights data for each page stays specific (good thing from a reporting perspective). For the rest, each page is independent of each other. Each page has its own wall, its own tabs, its own URL. Marketers, would this change impact your current strategy ? Please, leave a comment.